Julie and Josh had an amazing ceremony and reception at Pinstripes in Northbrook! 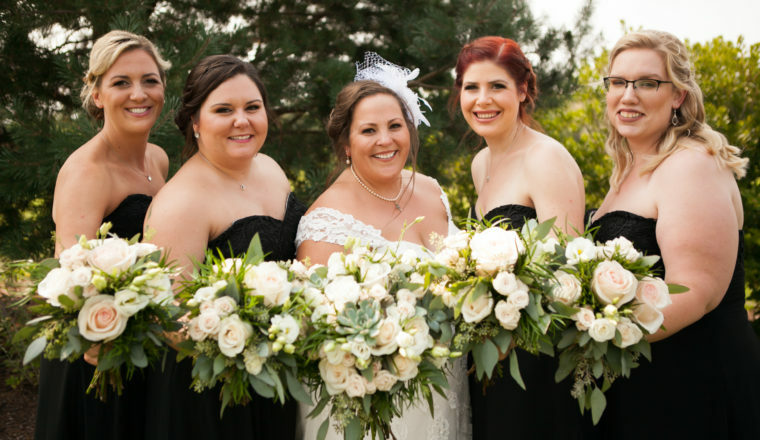 Julie’s gardeny bouquet featured ivory roses, blush spray roses, white lisianthus and succulents! Josh’s boutinierre was a blush rose and a succulent (to match Julie’s) and his grandpa’s wedding ring. The bridesmaids bouquets featured ivory roses, blush roses and white lisianthus. The centerpieces were a combination of square and rectangle wooden boxes. Each centerpiece featured blush stock, light pink alstromeria, ivory roses, blush spray roses and larkspur. Thank you to Modern Image Studios for the images!